Mika Satomi, Mili John Thrakan and Maiko Tanaka had a workshop on SMA(Shape Memory Alloy) on 1t Nobember. The aim was to come up with woven SMA fabric swatches that has different expressions. A shape-memory alloy (SMA, smart metal, memory metal, memory alloy, muscle wire, smart alloy) is an alloy that “remembers” its original, cold-forged shape: returning the pre-deformed shape by heating. We started with training the SMA with heat (lighter). The trained SMA shapes zic-zac shape when it is heated in ca. 50 degrees.Then SMA is inserted in weaving structure. We tried different materials, biding systems and threads’ density to weave with. 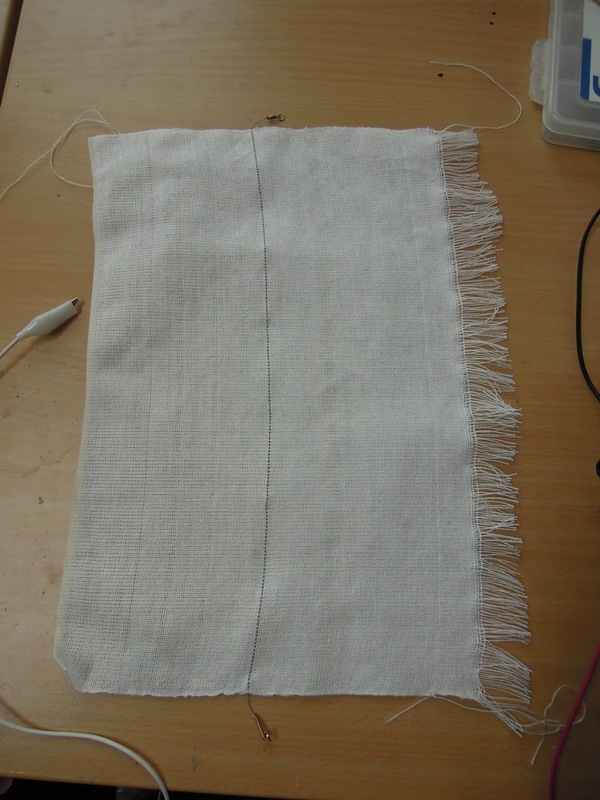 After that we observed what kind of effect SMA and weaven fabric achieved.You will find more pictures and detailed description at the link below. This time we didn’t achieve varied swatches with different expressions. So we are going to have 2nd workshop, where we will try to train SMA in spiral shape and insert it in the fabric with less weight and less threads’ density. We will even try to insert SMA in warp direction as well. 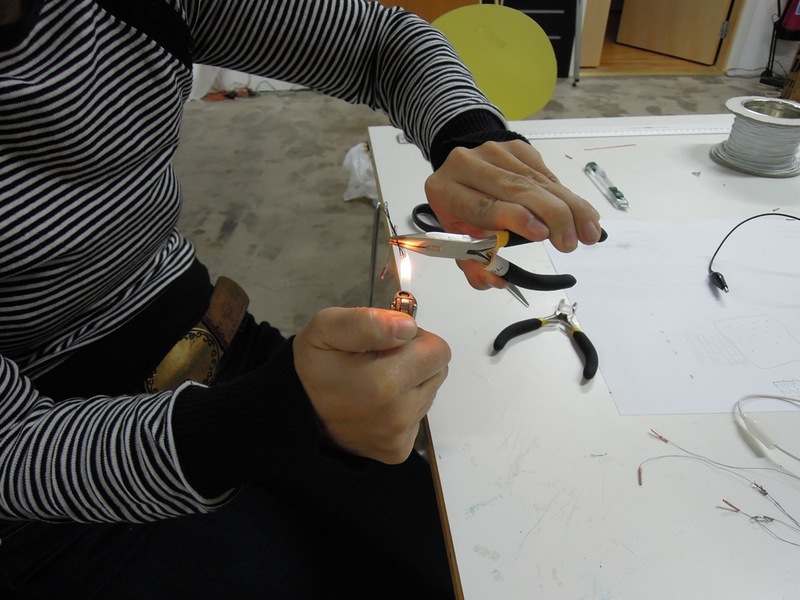 The MA course “Technology + Textiles” by the Smart Textiles Design Lab covered the use of SMA in one of the class. See the course note for detailed tutorials. December 5, 2011 | Filed under News, Workshops.